They say when you are ready the teacher will appear and so he did. About three weeks into my self-imposed 50 day sugar-free retreat, I was connected with Barry Friedman, author of I Love Me More Than Sugar. His enthusiam for being sugar free is (almost) contagious! Almost 4 years into ‘the lifestyle’ now, Barry says he will never go back and he now helps people of all ages, stages and geographic location to kick the sugar bug to the curb. Barry says you may miss sugar for awhile, but you won’t miss any love or fun in your life, it’s just a mind shift and he uses the acronym FREE to help. E – Exercise, old news that still works and takes your mind off of eating junk! As for me, I challenged myself (the most sugar-addicted person I know) to go 50 days and I allowed myself 5 cheat days within that time frame. Please give me bonus points as the 50 days was all through the month of December! Shoot me now! The funny thing was I didn’t feel any better giving it up but…at two weeks, I used up 2 of my days and honestly I felt terrible. My tummy was bloated and I felt heavy and yucky. If I cheat beyond the 5 days, I will add 2 more days to my challenge for each time I cave. After listening to my conversation with Stephanie, I’m guessing there might be questions, assumptions, judgments, or at least some confusion.Four-time World Juggling Champion? Six Time TED Speaker? Strategic Business Coach? Bestselling Author and Sugar Free Advocate? Yeah, I know. Sometimes when I look in the mirror I’m confused, too, and I’ve been with me my whole life. Let me connect a few dots. You might have heard the quote that says, ‘How you do anything, is how you do everything.” I have dug into my own life, the stories of thousands of clients who have done the 30 Days Sugar Free challenge, my group and private coaching clients, famous celebrities, and even friends and family. This quote always holds water. No matter how much it hurts, if we are honest we can see the theme. So What is Your ‘Anything’ and ‘Everything’? Anything: Do you eat too much sugar? 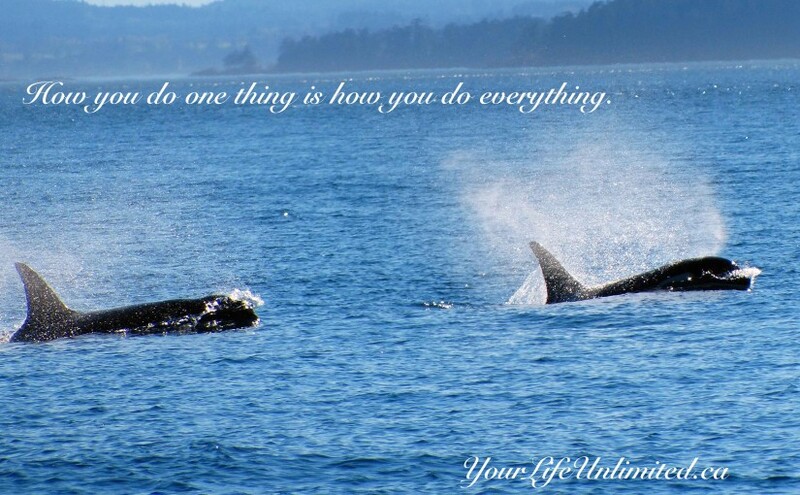 Everything: Where else in your life do you overdue something that isn’t good for you? Anything: Do you spend too much money on stuff you don’t need? Everything: Where else do you not listen to your better judgment? Anything: Do you procrastinate and work right up to the deadline? Everything: Where else in your life do you not allow yourself the space to be creative and relaxed? Anything: Find something that you know is out of whack in your life. Everything: Identify other areas where that theme rules the day. Voilà… If you haven’t made at least a few connections, I’ll ask you to take a deeper look. If you still come up empty, drop me a line and tell me about it. I’ve been searching the world for the exception. If you’ve identified the patterns and are happy with them – you’re awesome. You are in integrity with your life. Get a t-shirt that boasts, “I’m Lucky To Be Me” and wear it with pride. I’ll high-five you as I watch you walk by. Hello my kindred spirit – we have work to do. It’s our work because we are parents, children, aunts and uncles. We are co-workers and citizens of planet Earth. We mingle in society. You’ve found a pattern or two in your life that no longer serves you and it’s time to roll up your sleeves and rewrite the game plan. Be Kind. Whatever pattern you identified was important to you at one point in your life. If it’s over-stayed it’s welcome, it’s just because it was never excused from the table. Change Takes Change. You’ve already started, simply by identifying it and calling it out. You’ve shined a light into a place that has been happily playing in the darkness for a very long time. Don’t rush it out of bed – but open the windows, turn on the radio in its room, and keep the light on so it can’t continue to hide. Introduce a New Behavior. It will take a while for it to become automatic. Your work is not to beat yourself up while you’re practicing. See #1. Celebrate the Small Changes. Make this fun. A compliment or special moment of acknowledgement will go a long way in making it easier to continue with the new behavior. In time it will be the norm. Let Someone In On It. Who is that one person that you can trust with your heart? Would you be open to letting him or her know what you’re up to, and check in with them from time to time? Make sure this person is ‘safe’, meaning that they have done some personal work of their own. This won’t play out well if they see your transformation as a threat. Anna Coleshaw-Echols shared some insight into two very different topics – being childfree (as opposed to childless) and talking fearlessly. As a public speaking coach Anna says we have to plug ourselves in, just like we plug our appliances in to gear up for the public speaking experience. This entry was posted in Blog, Health, Wellness and tagged book reviews, health, Stephanie Staples, Your Life Unlimited. Bookmark the permalink. Next Next post: GROW into it!